Wild species of Beta are found in wide area, i.e. around the Mediterranean Sea, West Asia and Northern Europe. 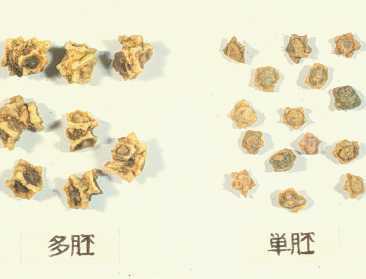 Immediate origin is regarded as B. maritima. Cultivation for edible leaf and root has begun from 400 B.C.. 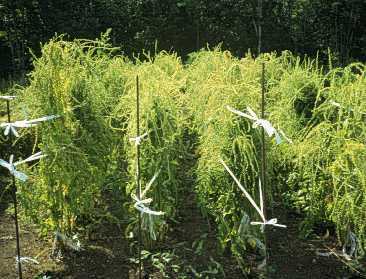 Breeding and cultivation for sugar-refining have begun from the late 18th century. 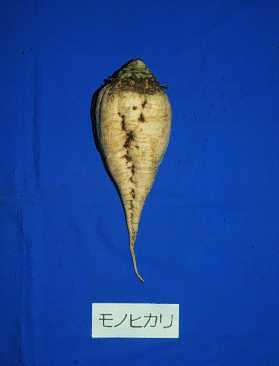 Sugar beet is biennial. 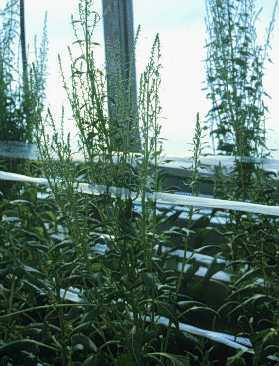 It develops large roots the first year. Roots contain sucrose. 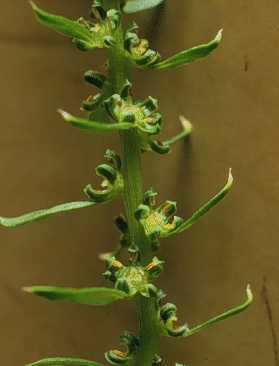 Root shape is slender cone, and vary with variety and environment. Leaf shape is oblong or ovoid figure and leaves are lustrous. 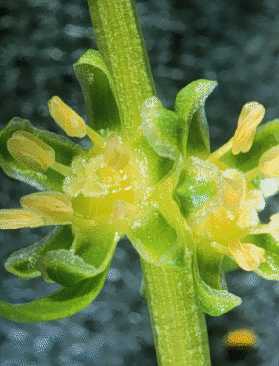 After vernalization, second year, Sugar beet develops a seed stalk and flowers. 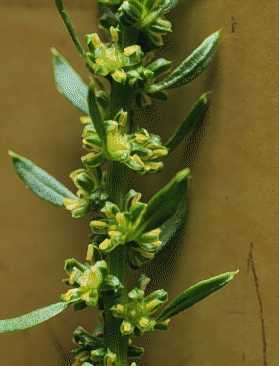 A single flower gives rise to monogerm seed, on the other hand cluster of flowers gives rise to a multigerm seed. 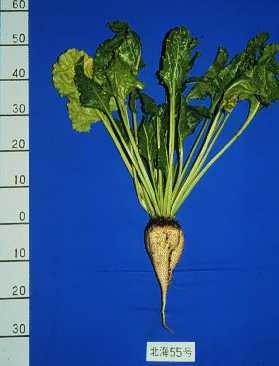 Sugar beet is cultivated for sugar-refining. 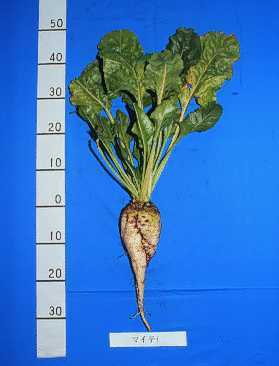 Sugar beet roots contain 15-20 per cent sucrose. 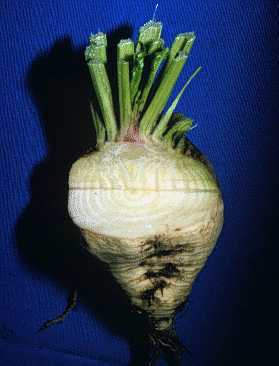 In Europe, Sugar beet is cultivated for alcohol-processing. Leaves, crowns and beet pulp are used for fodder.